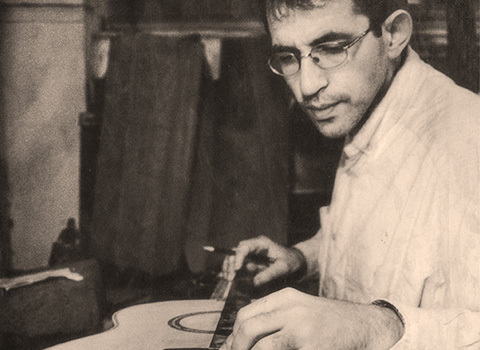 Christos Spourdalakis&' workshop for the construction and repair of stringed instruments opened in 1979 in Piraeus. 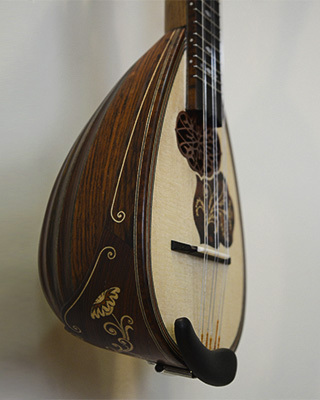 It soon found its place among musicians as another link in the age old European tradition of Art Luthiery, a rare form of instrument making, the viability of which is now being threatened for clearly economic reasons. Over the years, our experience, our exceptional choice of materials and our attention to detail gave birth to instruments of exceptionally high aesthetic and acoustic standards. The decorative parts are based on completely original designs. 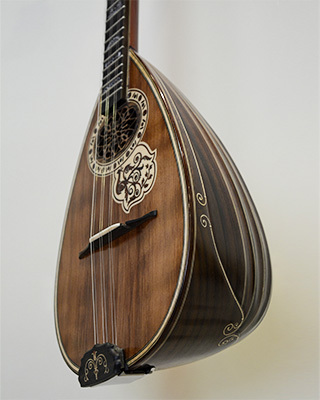 Thus the appearance and the distinct sound of our instruments assures that they are uniquely recognisable. 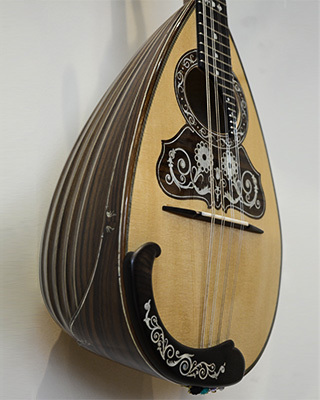 Neorion Music Workshop - Handmade music instruments by Christos Spourdalakis since 1979. 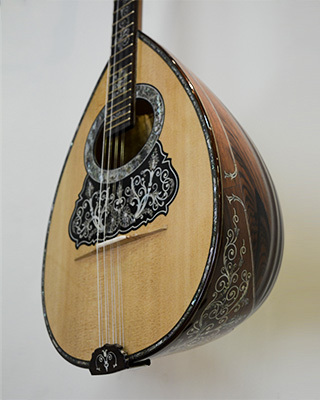 Construction and repair of stringed instruments such as bouzouki, baglamas, guitar, tzouras, etc. Christos Spourdalakis was born in 1961 in Piraeus. 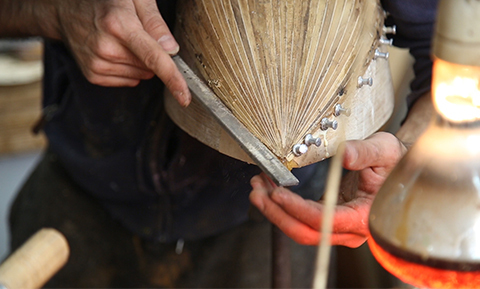 He became involved in instrument making just after finishing high school. During the same period he also worked as a musician which he continued to do for 13 years until he decided to devote himself exclusively to the construction stringed instruments. 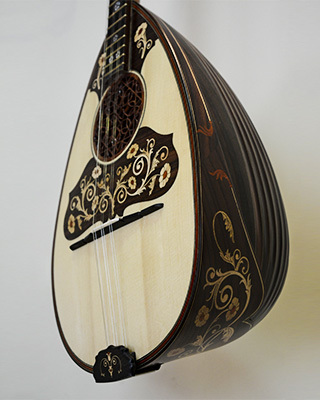 He has published technical articles on the subject (written in Greek) and several videos with technical information about the stages of construction of music instruments. I. Free technical support and repair of any technical problems that may occur with regard to the instrument and which are due to technical oversights on our part. 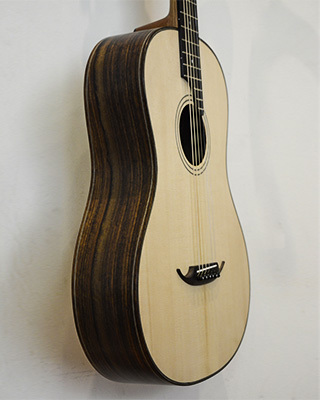 A forward or backward bending of the fret board, or an unnatural sagging of the top are covered by our guarantee. 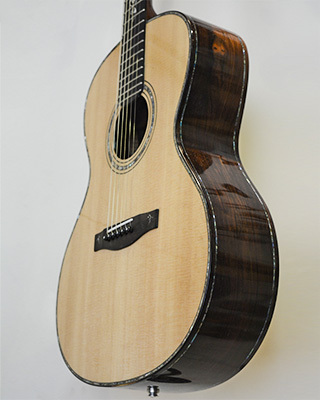 We do not cover breakage due to the instrument being dropped or struck; cracking due to exposure to unsuitably dry conditions or inappropriate temperatures; damage to strings, frets or the varnish. II. We provide our customers (exclusively personally) the option of exchanging their instrument with another one constructed by us. For example, if one of our instruments was purchased for 1500 Euros, if and when he/she wishes to do so, the buyer may return the instrument to our workshop. 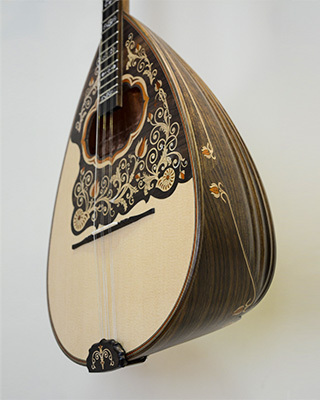 Once we deduct the cost of possible damage that may have occurred during its use, the owner may pay an additional sum if he/she wishes to acquire a higher quality instrument. The option to change the instrument is personal and is not transferable by a possible resale of the instrument by the owner. The two guarantees are lifetime guarantees.. 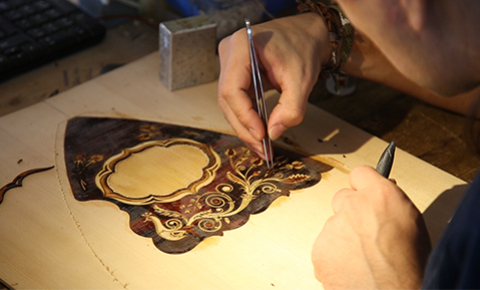 There is no time limitation and they remain valid provided that no other professional luthier or amateur has intervened on the instrument and/or has repaired or replaced parts of the instrument. Each owner should ensure that the strings used are the appropriate ones.